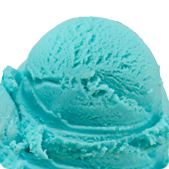 Sweet birthday cake-flavored ice cream with swirls of blue frosting and heaps of colorful confetti sprinkles. Luscious black cherry ice cream with boat-loads of whole black cherries. Non-fat yogurt mixed with black raspberry flavorings. 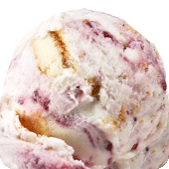 Delectable cheesecake ice cream topped off with a tangy blueberry ripple and lush cheesecake pieces. Cheesecake flavored ice cream with blueberry swirl and cheesecake pieces.